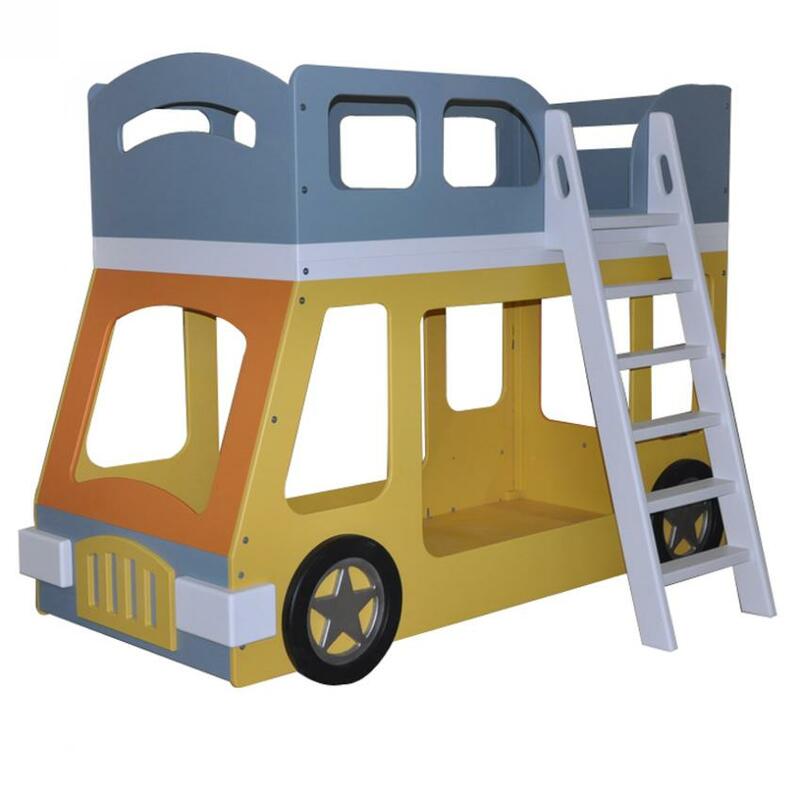 Custom Bunk Bed Built in the U.S. - Our Double Decker Bus Bunk Bed was inspired by the iconic transportation of the United Kingdom. You can even customize the color to get your very own red London bus! 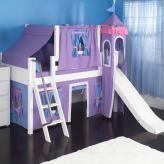 This fun design accommodates a twin size mattress on the top and bottom of the bunk. 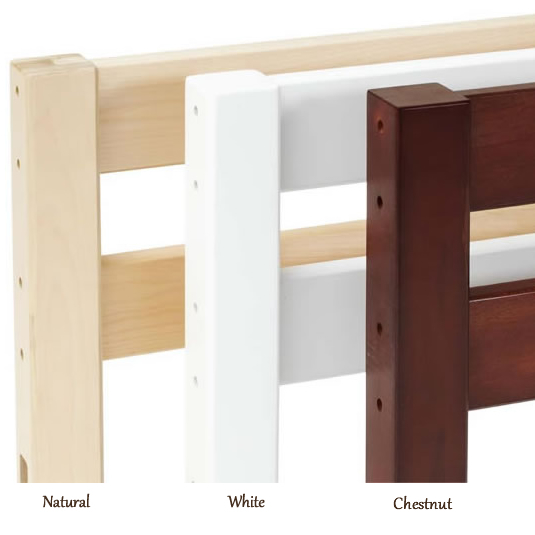 Access the loft with an angled ladder, and relax knowing that our extra high safety rail will keep your kids safe on the top bunk. You'll love the classic British style of this double decker bus bunk bed. 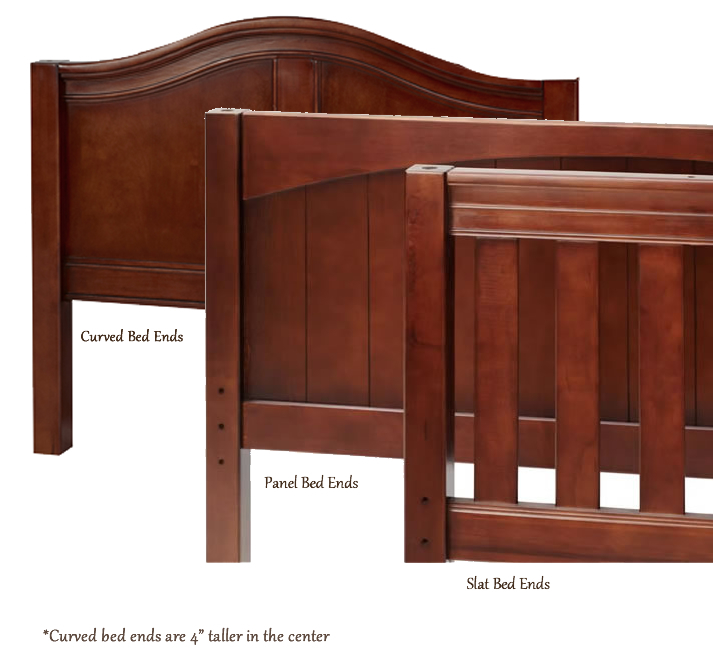 Let us know how we can customize this bed for you.